Sylvia started playing the violin the age of 4 and continued study in piano and viola. 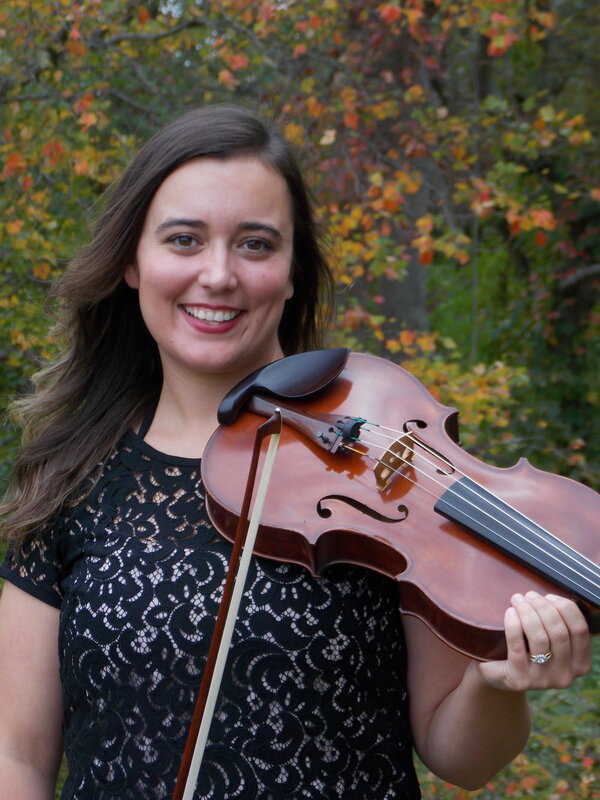 She received a Bachelor's of Science in Music Education from Roberts Wesleyan College as a violist in 2011. Mrs. DiCrescentis has studied with Gerri Fogg, Tammy Kaye, Monica Vanderbaan and Marc Anderson. She teaches a large studio of private students at her studio space Vivo Strings in Grafton, MA and is the owner and founding member of the Blackstone Valley String Quartet. She is an adjunct faculty member of the music department at Anna Maria College. For over 10 years, Mrs. DiCrescentis has played for countless weddings, parties, fundraisers, concerts and other events. Sylvia maintains an active performance schedule throughout the year. From 2013-2016, Sylvia performed with the Reading Symphony Orchestra in Reading, MA as principal violist. She freelances all over New England playing all types of concerts and events. Some memorable events have been performances with the Claflin Hill Symphony Orchestra, Worcester Chorus, Andover Choral Society and the WPI Orchestra. She has years of experience performing in all genres of music as well as experience arranging music. When she is not working at the studio or from her home office, Sylvia enjoys spending time with her family, cooking and gardening. She loves taking hikes during the week and cycling with her husband. She participated in the Cape Cod Getaway, raising money for the National MS Society in 2015, 2016 and 2017 and enjoys the thrill of road cycling. This season, Sylvia and her husband plan on introducing their son to the joy of cycling towing him on family rides! I am able to personally tailor the music for each event to fit the vision for an event. I even have industry leading wedding planning tools to help you choose the music that best fits the vision you have for your wedding! All of these packages include myself as soloist. If you are looking for more than a soloist, check out my string quartet! The ceremony only package includes playing personalized music for your ceremony. It also includes music played before your ceremony as guests arrive and 1 or 2 pieces after the ceremony as guests leave. Includes the same options as the ceremony only plus an hour of music during your cocktail hour. Includes the same options as the ceremony only plus two hours of music during cocktails and/or dinner. *All packages may be subject to a travel fee depending on the location. Over the past 8 years, I have successfully built two creative businesses. I am passionate about teaching others knowledge that I have gained and I am now offering services to entrepreneurs in logo design, brand management, website design, website management and marketing consulting. Whether you own an established business that needs a facelift or an entrepreneur putting together a business for the first time I can help you! Below are some of the services and packages that I am now offering. Before each consultation, several questionnaires would be sent out to guide us through your consultation. Some of the available topics for discussion are: general business recommendations, logo design, website design, social media marketing, arranging management and research tasks. Any consultation will be tailored to the needs of your business. You will receive a package with 3 different logo design options along with variations of each design for use on your website and various social media platforms. Looking for the next avenue in your business to make additional funds? Interested in what your competition is doing? I can put together a research presentation on anything information that might be useful to your business. I love checking out trends and best practices of all types of businesses in order to make my own practices better. I can help you do the same! Need a total refresh of your website or starting a website from scratch? I can help you create a website that draws customers in and generates sales. Services start at basic updating of social media feeds and range up to larger scale social media campaigns. Monthly management of website including inputing new content, updating SEO and a once yearly redesign of your website template. My full service package includes logo design, 3 consultation hours, website design and monthly website management for 12 months. The aim of this package is to get your online presence established and current throughout the year. Other services can be added to this package as needed. Book or Schedule a Consultation!